Baking soda has anti fungal, anti bacterial, anti septic and anti inflammatory. We can apply it on skin with water or different food. 1. Mix baking soda with water and prepare paste. Apply it on face. It is beneficial to remove pimples. 2. Rub baking soda on teeth. It removes yellowness and increases shining. 3. Apply mixture of baking soda in rose water. It removes dead skin and the color becomes white. 4. The shining of hair increases by applying baking soda with water. 5. The darkness of hands-legs removes by baking soda with water. 6. 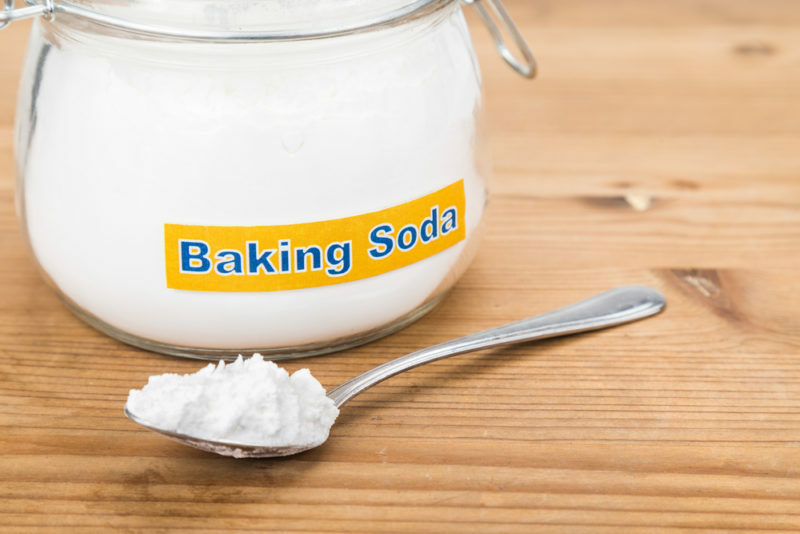 Prepare paste of baking soda with water. Apply it on under arms. It reduces darkness. It also removes stench. 7. Apply mixture of baking soda with water. It removes black heads. 8. Apply mixture of baking soda with yogurt on hair. It removes dandruff. 9. Prepare paste of baking soda with water. Rub it on nails. It becomes strong and clean. 10. Apply mixture of baking soda on skin. It reduces wrinkles.